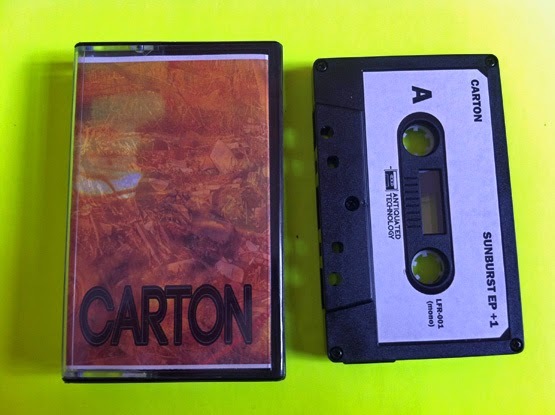 When I listen to a band like Carton, hearing them for the first time on cassette (and in general), I am able to instantly fall in love with them because I can hear the hints of grunge coming through which remind me of a time before CDs, or as I like to call it “pre-CD”. There are some hints of math rock and even emo indie ala The Commercials on here. 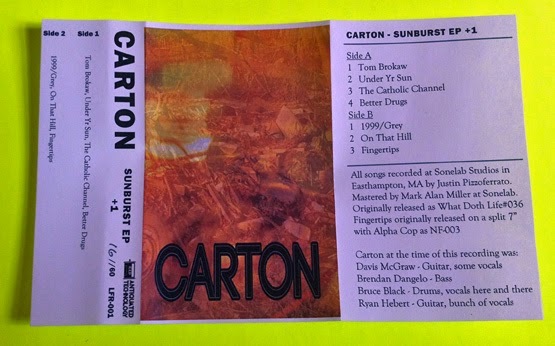 But for the most part, Carton is a band who could have easily and rightfully appeared on the “No Alternative” compilation if timing was different. In all fairness to the 1990’s, “The Catholic Channel” could very easily have been a radio hit in that time frame and on some levels it could even be now, though I shudder to listen to the radio these days. 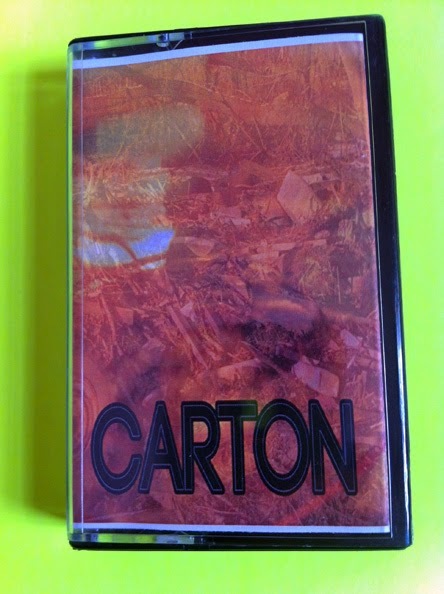 From Pavement to Replacements to Alice in Chains and Mudhoney, Carton has all of the right sounds in all of the right places. 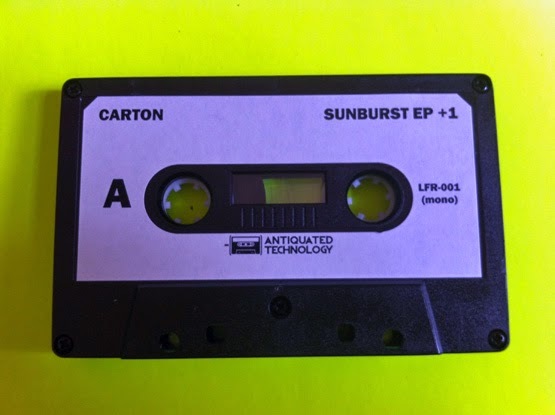 There is some Piebald on the second side of the tape for certain, but overall I just hear many of the characteristics that made Smashing Pumpkins a household name. Granted, this isn’t going to sound 100% like Smashing Pumpkins to you, but it has enough of that oomph in it to make you appreciate it all that much more. 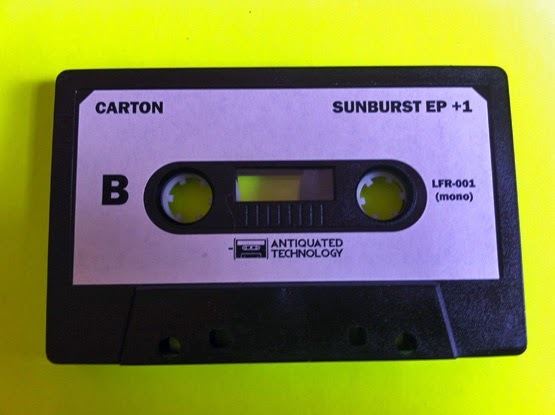 Being the “Sunburst EP + 1” I can only assume the last song was not part of the EP and only added on for the cassette release. That being said, the song (which is called “Fingertips”), is quite riotous and chaotic. In what might have ended in a much different way was brought to an appropriate close, at least for me, as this most awesome went out not with a whimper but with a bang.